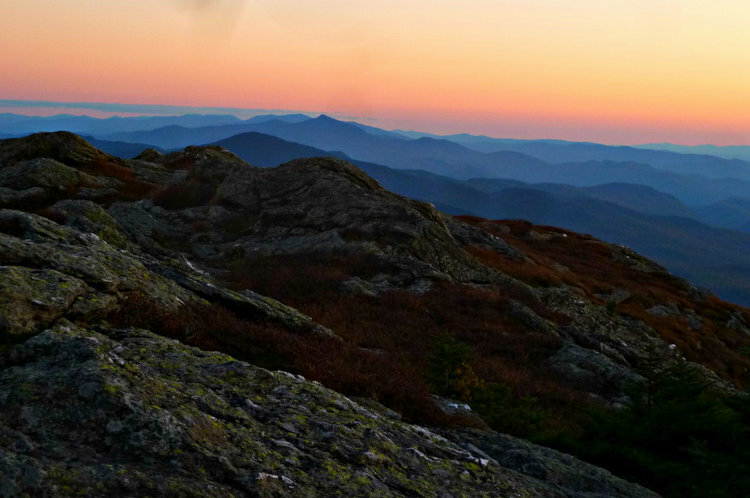 This photo was taken atop Mt. Mansfield when my dog, Sadie, and I did a 13.5 mile hike. We started at the base of the Toll Road ski trail then hiked to the summit, walking across the nose and ending up at the chin. 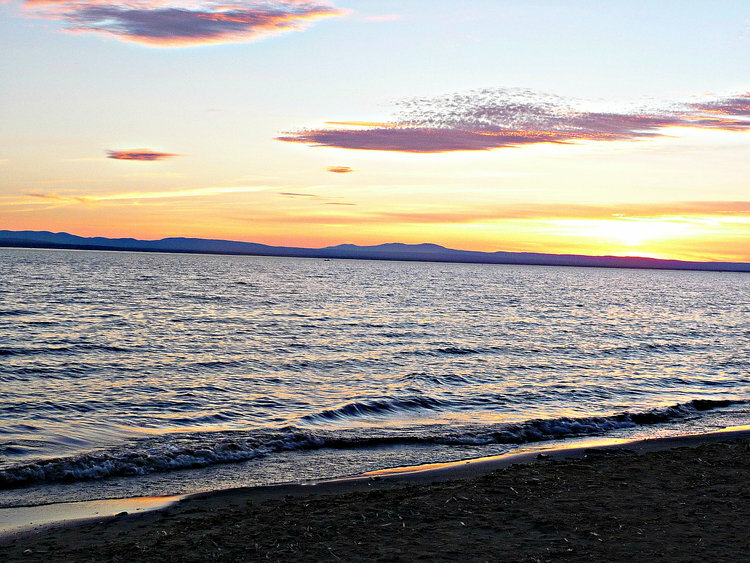 I loved watching the sun set over Lake Champlain. We had the perfect vantage point for watching a firework show and settled in to watch the stars. We were out from 2:00 in the afternoon until 1:00 in the morning. I will call it a near perfect day. 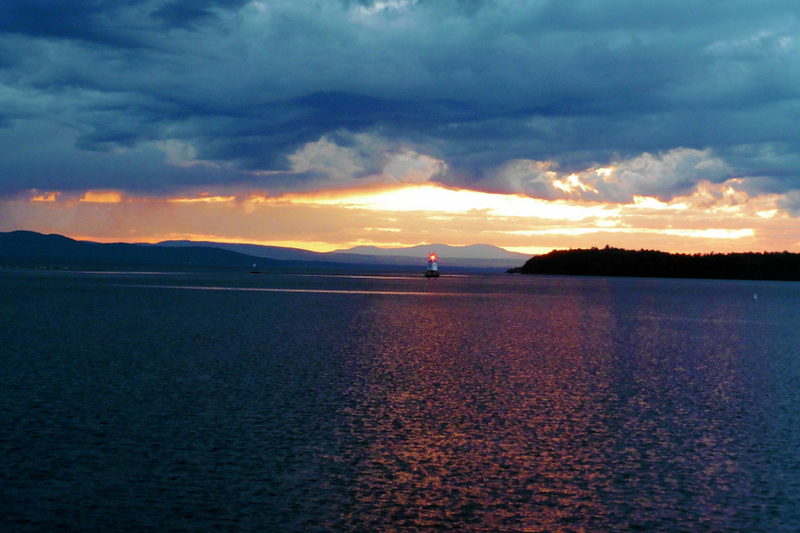 I took this photo recently while watching the sun set over Lake Champlain with the Adirondacks in the background. I once kayaked across to the New York side. Sunset at Mt. Philo State Park in Charlotte. 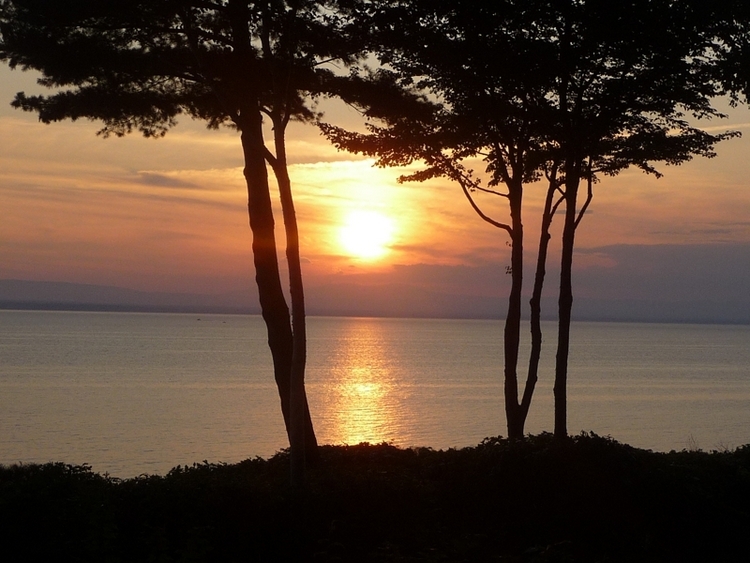 This is a wonderful place to enjoy a sunset dinner at the picnic tables or Adirondack chairs. There is plenty of room at the top to enjoy a game of frisbee along with your picnic. You can either hike or drive to the summit. 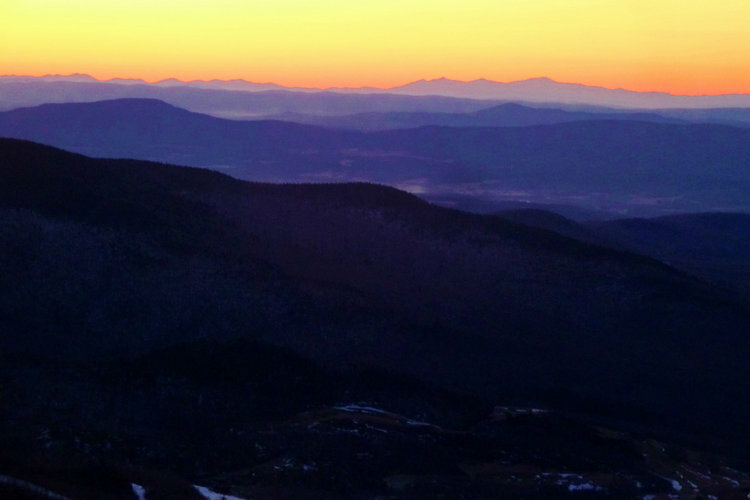 It is a short, easy hike with only an 840 foot elevation gain (which is low for Vermont mountains). 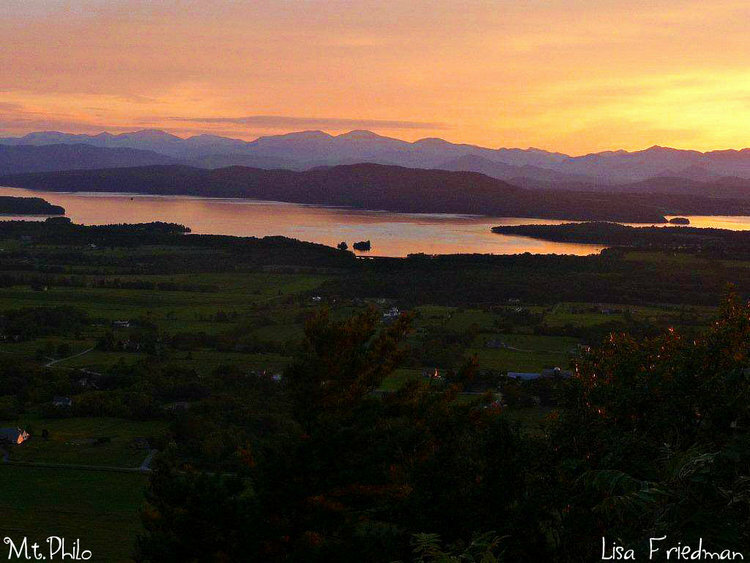 There are perfect views of Lake Champlain and the Adirondacks as well as sweeping farmland.